Newgen Internet Networks Pvt Ltd, which owns and operates online video content platform Glamrs, has raised $1 million in a pre-Series A round led by Ventureworks India, the company said in a statement. Batlivala & Karani Securities and Nikunj Jhaveri, founder, System Plus Group of Companies, also participated in this round along with existing investor Blume Ventures. Keshav Sanghi, former managing director of Goldman Sachs and founder of Ventureworks, will join the company's board. The firm will use the money to expand its content base and build key data analytics and technology assets. 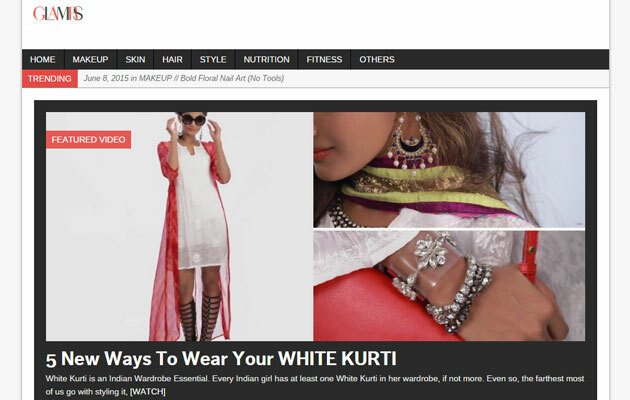 Founded by Naveen Sadarangani and Zubin Sarkari in 2012, Glamrs is a digital video platform, reaching and engaging young Indian women with original and curated video content covering makeup, hair, style, fitness, skincare and nutrition. It currently has over 400 original videos. Zubin has graduated from MIT, Boston and worked at New York-based Videofashion. He was also the event director of Lakhme Fashion Week in India. "Video views of Glamrs original content are growing at a 40 per cent month on month, and we recorded over four million video views in the last 30 days. Glamrs.com received over 7.5 million page views last month, with that number expected to reach 10 million page views in June, 2015. Our total Facebook reach has tripled over the last 6 months, climbing to over 11 million unique users last week. With more than 80 per cent of our traffic on mobile, the Glamrs App is being prepared for launch. We believe our growth is a reflection of the sociable and interactive nature of our videos, which truly resonate with young Indian women," said Sadarangani, co-founder and managing director, Glamrs. "The global media ecosystem is experiencing a period of disruption, with new media platforms poised to exponentially outperform traditional media," said Sanghi. "We are at an intersection of media and technology, at a time where audiences across the world are more connected than ever before. We believe this will spawn several billion dollar new-media companies, and Glamrs has the right team and vision to emerge as the leader in this media revolution," he added. The company plans to expand its reach to 50 million Indian women currently active on social media, ensuring that it continues to learn about their needs and preferences. It also plans to expand to categories like food, travel, parenting and education. "The longer-term goal is to build an aggregated audience of over 150 million, taking advantage of the exponential growth in social media distribution channels," said Sadarangani. Glamrs Newgen Internet Networks Pvt. Ltd.